One of the key features of the recently released operating system from Microsoft is its Windows Store. Users of Windows 8 can download apps from the store instead of searching for them online. For now, there are just 5,000 apps available on the store, but Microsoft is planning to increase the number of apps available for its customers. Flip Toast is an app which brings together many social networking services like Facebook, Twitter, LinkedIn and Instagram. The updates from these social networking services are displayed in a very graphic-rich and magazine-like format. The content displayed on the app can be swiped from left to right using your finger if your computer features a touch screen. Using this app, you can post updates on social networks, write comments, like others' posts, etc. The only limitation of this app is that Google + and FLickr are not yet supported which will be a disappointment for some users. Fresh Paint is a painting app with many new features when compared with the old MS Paint. You can create new drawings, edit them with ease and color them with picturebook-like pages. There are lot of brushes and colours to choose from. If you get bored with the available options in the app, you can buy more (extra outlines and brushes) for a nominal price. This app can work wonders if your device is touch enabled. Evernote is the world's favorite mobile note taking app. You can record notes using Evernote app on Windows 8 by scribbling, typing, recording, and sketching. The notes which are taken on Evernote are displayed in the form of tiles which looks very cool. IM+ is an app for handling multiple messaging services on Windows 8. This app is already very famous on mobile platforms like iOS and Android. IM+ supports multiple messaging/chatting services like Google Chat, Facebook, Yahoo!, and even Microsoft's own Windows Live Messenger. You can send and receive files like photographs and Notes when communicating through this app. It also support for group chats making it a good choice for chat addicts. Apps for all the major news websites are available for Windows 8. But, Installing all these can make your home screen crowded. You can overcome this problem by installing this single handy app and follow news on multiple news websites. This app presents news in a format that is easy to read and which does not put much strain on the eyes. Important news stories are presented along with big pictures and excerpts. A key feature of this app is that it also has support for Google Reader making it easy to read atom and RSS feeds. Reading books on the earlier versions of Windows was not a good experience. Now the Kindle app for Windows 8 promises to make reading on the Windows PC a good experience. This app provides complete access to Amazon's online book store. You can also sync all your Kindle collection from your other devices easily by connecting your Windows 8 PC with them. Other options include the ability to change font sizes, screen brightness, page format, etc. Lot of people still access Wikipedia through their browsers. The Wikipedia app for Windows 8 comes with a simple left to right reading arrangement. This is totally different from the up and down scrolling arrangement in a browser. The left to right reading arrangement gives the feel of reading a book to the users. The app has links to Wikipedia's 'featured articles', top events which happened on 'this day', and links to recently accessed pages. You can also access articles posted in multiple languages on the same topic through this app. 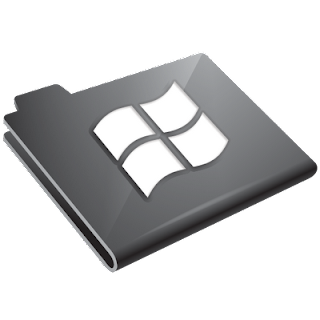 Once this app is installed on your PC, you can search Wikipedia's huge database through your regular Windows 8 search tool. It would have been better if all the Wikipedia articles accessible through this app are properly indexed. StumbleUpon, the top app in the world to find new content on the internet is now available on Windows 8. You need to just open a free StumbleUpon account and specify your interests. The app will show lot of content related to your interests like photographs, webpages, articles, and, blogs. You can also vote whether you like what is displayed on the app or not . The display of this app is gorgeous with lot of viewing real estate and allows you to swipe from one side of the screen to the other side endlessly. This is one of the few apps available on Windows Store which seem to be tailor made for Windows 8. XE Currency app for Windows 8 allows you to convert all currencies in the world. It has a currency converter with live rates which are updated every minute through the internet. The app also stores last update it downloads so that it can be used even when internet is not available. You can always monitor the exchange rates of up to ten currencies on the display section of the app. Apart from currency rates, this app also displays the prices of precious metals like Gold and Platinum. Internet radio is a good way of keeping yourself entertained with music. TuneIn Radio app for Windows 8 has a huge database of 70,000 internet radio stations from across the world. The radio stations can be browsed by music, sport, news, chat, demography, language, etc. You can also enable the app to access your location through GPS so that it can just find and connect to the local station when you are on the move. There is an option to create lists of your favorite stations which can be accessed by you later. You can enhance your Windows 8 PC with above top free apps which are now available in Windows Store. All these apps can be easily downloaded and installed on your PC with just a click or two. This is a Guest Post by Alia. She is a writer/blogger. She loves writing, traveling and blogging. Some of her recent work can be found at Rick Daniels. Can't wait to try Windows 8, very impressed about "metro" interface. Ubuntu installer is appreciated as I'm using Ubuntu at work.